Installation Support + Testing + Training = ALL included with each System! Take the guesswork out of the equation! All of our systems are designed for ease of installation and operation, high quality production, dependability and unparalleled value. 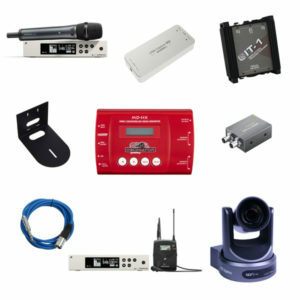 Your system arrives with all necessary components, pre-programmed and tested. We guide you through the set-up and teach you how to run everything. 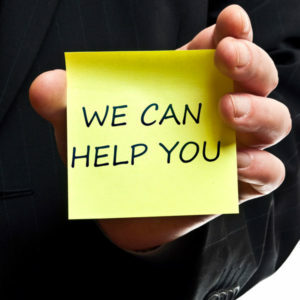 In addition to the support we provide to get you started, Premium Support and Consultation is available on an as-needed basis so that down the road you can depend on us if you need help. Before purchasing, we recommend scheduling a free 15-minute pre-sales consultation with one of our webcast engineers to select the right system for your application. Purchase the Streaming Package and options you want. 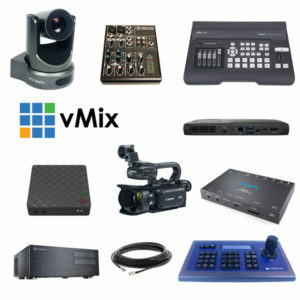 When all of the gear has arrived at our facility we set it up, customize and program the encoder for your streaming destination(s). System is tested then packaged for shipment. Shipment arrives. Set up installation date. Installation – We oversee installation via Skype, Facetime, Zoom, or phone. On-site test – We verify system readiness. Training – We walk you through the steps to properly operate your new streaming system.